← Fun recipes for kids! 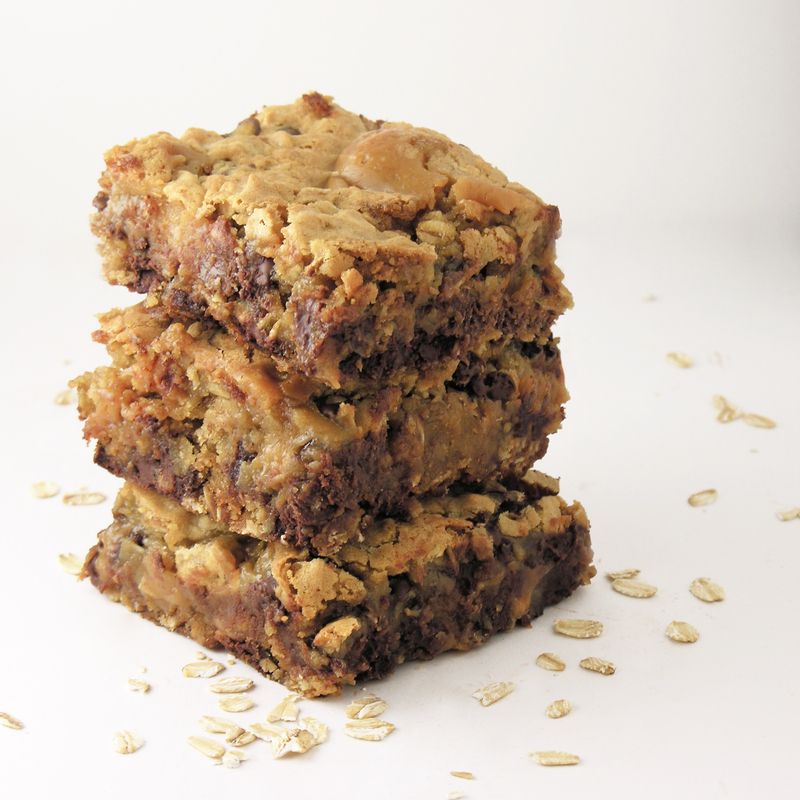 What could be better than oatmeal cookies with chocolate chips? This. 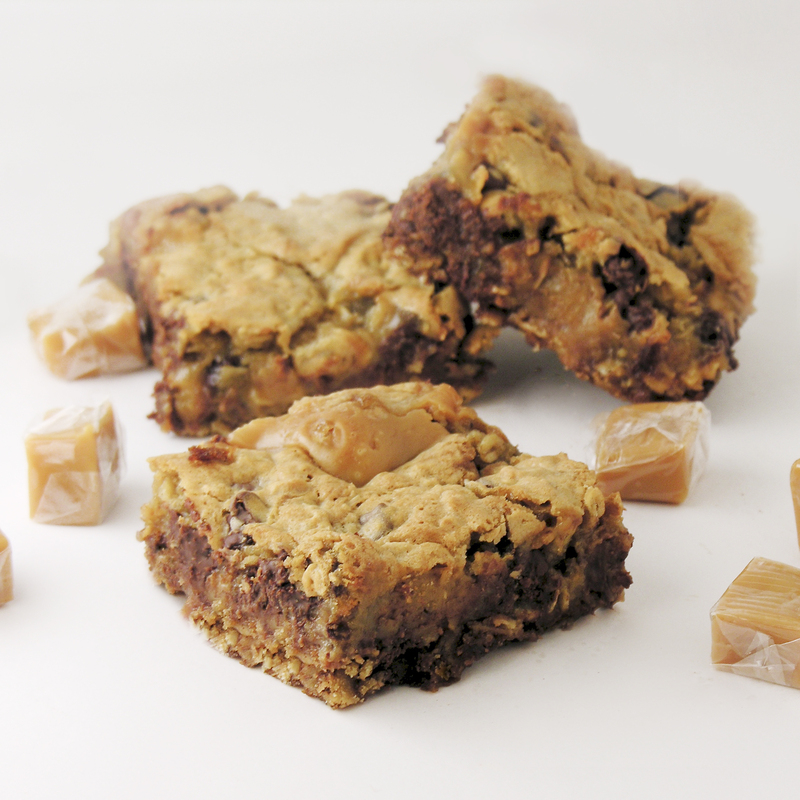 This could be better, because we baked them in bars and added caramel. And we all know that caramel makes everything better. Think “gooey”. Think “rich”. Think “this has oatmeal in it which makes it almost healthy”. Emphasis on almost. Healthy these are not. But delicious? Yes! Beat margarine and sugars together in a large mixing bowl until creamy- and yes, I use margarine here- not butter. Mix until well combined and press a little less than 1/2 of batter into pan. While this bakes, combine caramels, condensed milk and butter in a saucepan and heat (stirring constantly) until caramels are completely melted. Remove cake from oven and pour caramel over the top. Try to keep it away from the edges of the pan. You won’t be able to do this perfectly, but it is the caramel that sticks to the pan when you go to cut it later. Spoon remaining batter over the top of the caramel and bake for an additional 25- 30 minutes- until browned on the top and not “jiggly” in the middle when the pan is moved. Cool completely before cutting. It is easiest to cut after it is even chilled a little bit, and I kept these refrigerated until serving. 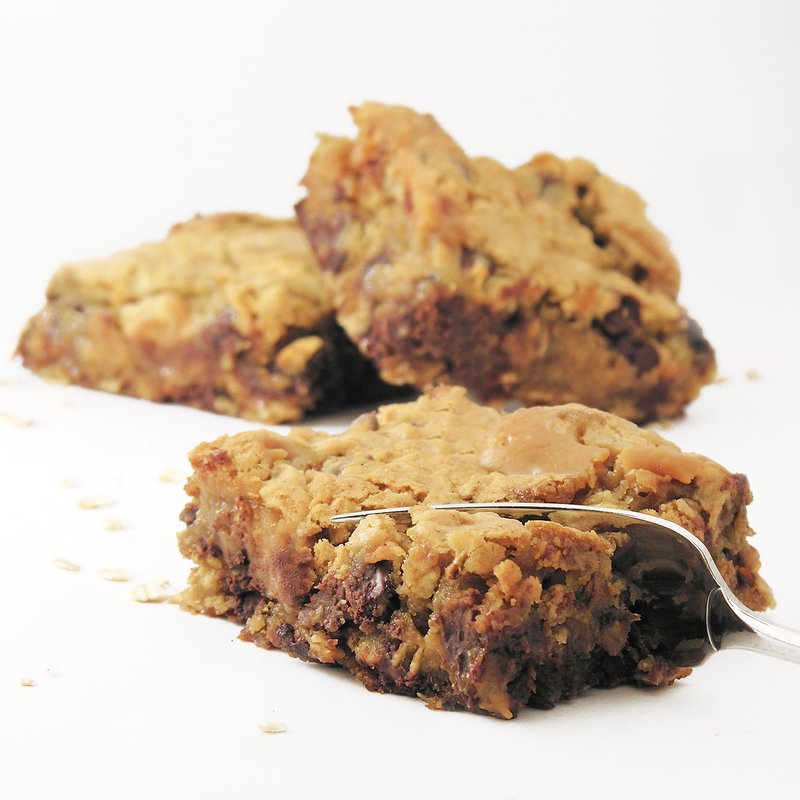 Posted in Bar cookies, Candy, Cookies and tagged caramel cookie bar, caramel cookies, chocolate, cookie bar recipe, cookie recipe, cookies, oatmeal, oatmeal cookie bar, oatmeal cookies. Bookmark the permalink. used to make that many years ago, they were called Oatmeal Carmelitas back then. Sorry, but what is the measurement of a Stick of butter? These bars look incredible! Thanks for sharing.